Lazy Girl Approved highlights long-lasting, goof-proof, fuss-free products that can fit into the most minimalist of regimens. If you consider yourself a low-maintenance beauty lover, these product reviews are for you! Of the Lazy Girls who wear makeup daily, many would probably list concealer among their essentials along with mascara, some sort of brow product, and tinted lip balm. Colour correctors, alas, are more of a "if we remember to pack/use them" and "more trouble than it's worth" item—until now, that is. 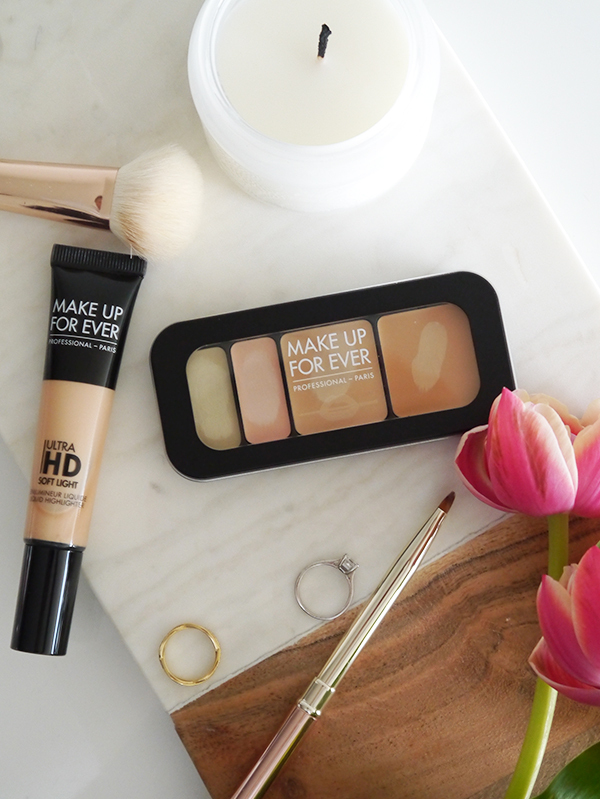 Enter the Make Up For Ever Ultra HD Underpainting Colour Correcting Palette ($53)! What it is: This all-in-one palette features 2 colour correctors and 2 concealers (one lighter shade, one deeper shade). Each palette is curated for a specific skin tone; 6 different palettes are available for skin tones from Fair to Deep. The colours have also been calibrated by makeup artists to blend into skin in a subtler, more natural way. That's why the green colour corrector in 25 Light (pictured here) is more of a muted olive than a bright pale green. Packaging-wise: The magnetic palette case is refillable, slim, and portable (just pop the empty pans out with a pin). It feels sturdy enough to withstand any bumps from being toted around, and the push-button closure ensures it won't open up accidentally in your makeup bag. The clear window at the top lets you see exactly what's inside. The colour correctors are half the size of the concealers. A how-to booklet with diagrams is included and explains how to use each shade. Performance-wise: "Ultra HD" usually conjures up images of silicone-heavy, full-coverage makeup that won't let skin breathe, and can be kind of fussy to apply for everyday wear. 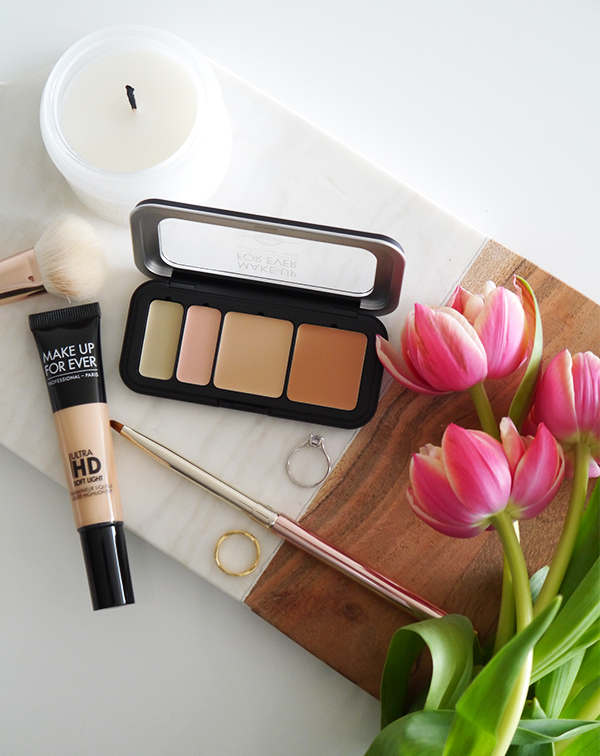 That's not the case here—MUFE's concealers are ultra-creamy with a second-skin feel and comfortable enough to wear all day, all while providing Ultra HD coverage. While some colour correctors go on waxy and leave behind stubborn green, yellow, purple, and orange streaks that feel impossible to blend, MUFE's disappear into skin completely and seamlessly with minimal blending effort. All you see is a beautiful complexion. Lazy girls will like it because: Um, how easy is this to use?! I love how the palette is so slim and portable for touch-ups or post-workout applications. The creamy texture and subtler shade range also cut down on the amount of time spent applying and blending. I use a concealer brush to sweep product onto broad areas that need colour correction, and a lip brush for more precise blemishes and spots. Then I take a fluffier foundation brush and lightly buff it into skin for a flawless finish. The whole thing takes 15 seconds tops. This palette is meant to be used under foundation and powder for a full makeup look, but for low-maintenance everyday Lazy Girl beauty it also delivers enough coverage on its own. Just set it with a light dusting of translucent powder and you've got the most natural-looking no-makeup makeup.